Pandora went many years without a traditional music streaming option like Spotify or Play Music, but it eventually added the $10 Premium tier that allows you to play whatever tuns you want. However, the Android TV client has been lagging behind. Today, a new version is rolling out that adds support for Premium subscriptions along with a few other features. Here's the changelog for Pandora 4.0 for Android TV. With Premium support, you can pick and choose what songs play on your TV. That's nice to have considering many people have nice speakers attached to the TV. You can also search for songs using Google Assistant in this update. 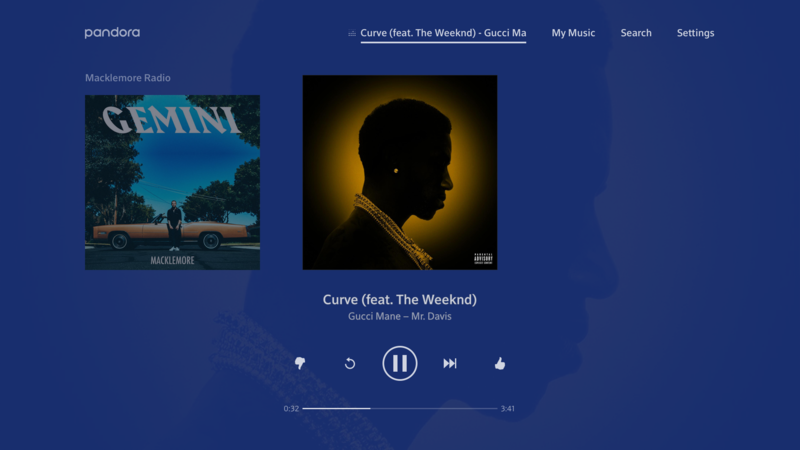 Just log in with your Pandora Premium account, and the new features should work.